Price and staff exemption was a big plus. Hats off! 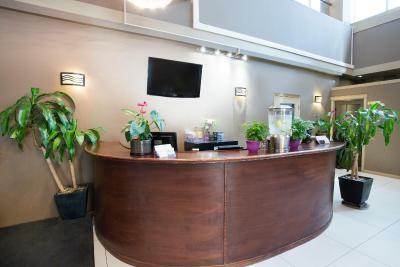 The staff are friendly and helpful with any questions I had. The price and room were very clean and reasonable ....a big surprise to the outside of the building and area being old the place was updated and well appointed inside. THE SERVICE WAS GREAT. THE LOCATION AS FAR AS DISTANCE WAS GOOD. OUR VEHICLE DIDNT GET BROKEN INTO. Beds are comfortable and rooms are clean and quiet. 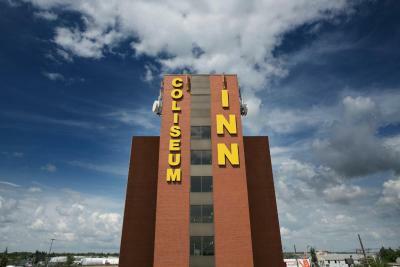 Over the past years I have stayed in over 120 hotels, ranging from simple hostels to five star establishments, The Coliseum Inn had by far the friendlienst Staff I have ever met. While sitting in the lobby I could observe them handeling even the most absurd requests by their customers in the most graceful way possible. In walking distance to a Light Rail Transit (LRT) station. Coliseum Inn This rating is a reflection of how the property compares to the industry standard when it comes to price, facilities and services available. It's based on a self-evaluation by the property. Use this rating to help choose your stay! One of our best sellers in Edmonton! 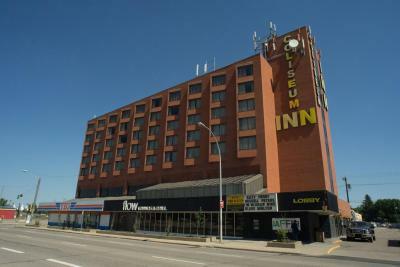 Offering guest rooms with free WiFi, Coliseum Inn provides accommodations in Edmonton, Alberta. Rexall Place arena and Northlands Park is located across the street. 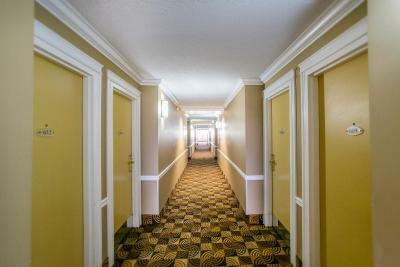 Guest rooms at the Coliseum Inn are equipped with a cable TV, free local calling, and a coffee maker. 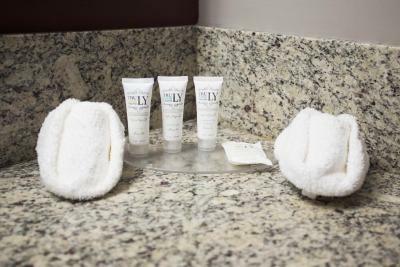 Private bathrooms offers free toiletries and a hair dryer. 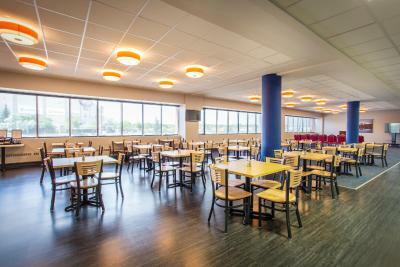 This property has an on-site restaurant called Global Buffet. Pinky's Show Palace is a gentleman's club on the north side of the building, open each day from 8pm-3am. 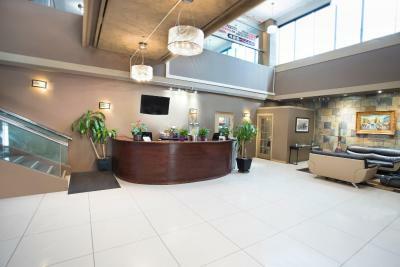 Edmonton International Airport is 40 minutes' drive from this hotel. 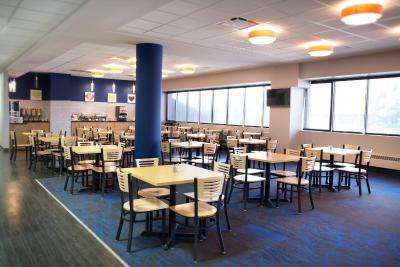 Coliseum Inn is only minutes from the Commonwealth Stadium. The LRT Transit Station is within walking distance. 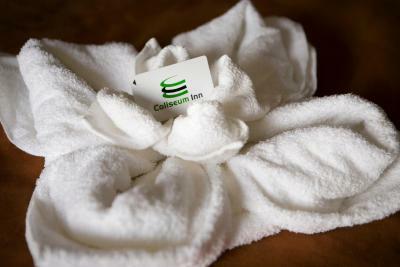 When would you like to stay at Coliseum Inn? Free WiFi and cable TV are featured in this room. 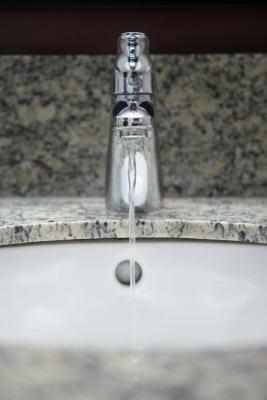 An private bathroom offers a hair dryer and free toiletries. 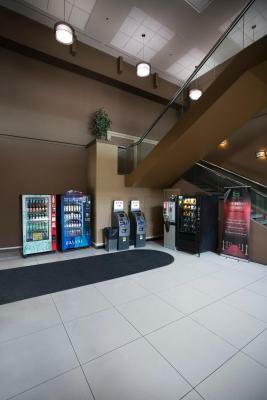 The Coliseum Inn is located in the heart of Edmonton in an extremely characteristic, centralized and lively area within a short walking distance of Northlands and The Northlands Coliseum. 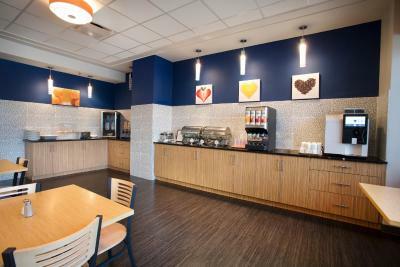 The Coliseum Inn is pleased to offer our hot Deluxe Breakfast served differently daily for a small fee of $3 added to your room fee. 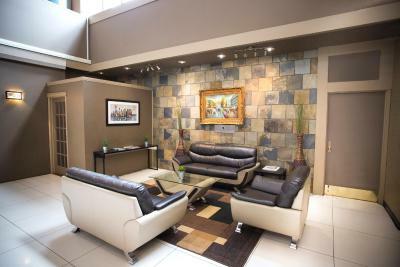 Parking in our above-ground parade, wireless internet and local calls are always complimentary. 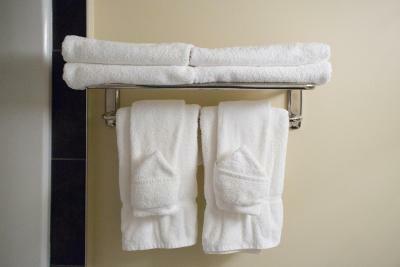 House Rules Coliseum Inn takes special requests – add in the next step! 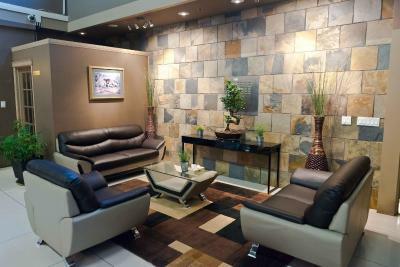 A CAD400 damage deposit is required on arrival (around USD299.15). This deposit will be fully refunded at check-out, as long as there isn't any damage to the property. 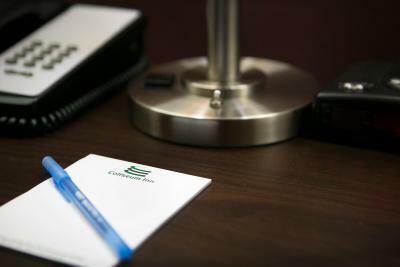 Coliseum Inn accepts these cards and reserves the right to temporarily hold an amount prior to arrival. 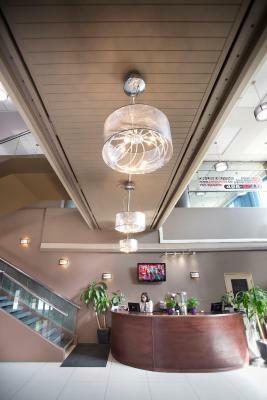 A deposit of $200 CAD is required for guests outside of the Edmonton area and $400 CAD for guests inside the city. A damage deposit of CAD 400 is required on arrival. That's about 299.15USD. You should be reimbursed on check-out. 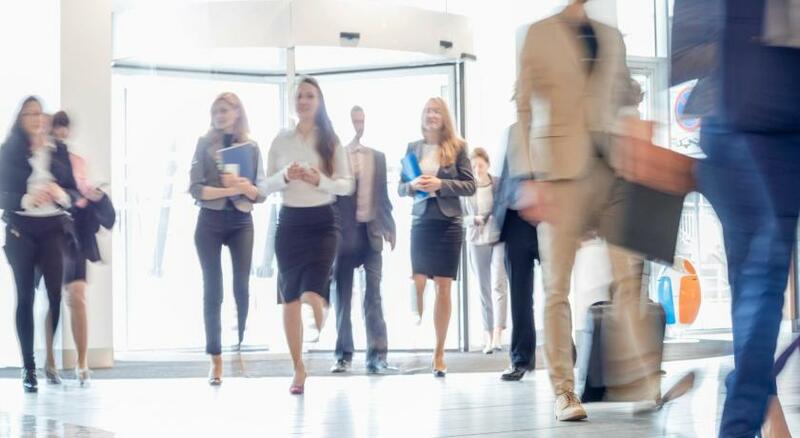 All staff are friendly and always put a smile upon doing their task. Rooms weren’t ready till 5. Beds were comfy. Lots of hot water. Bedding was not hotel like. You can hear the traffic if the room facing the road. Breakfast quality wasn't spectacular, but it was nice to have a few options to eat. Area of town is very rough and sketchy. Some, what appeared to be, homeless characters hanging out in lobby when we arrived....friendly enough and didn't cause trouble. No restaurants except Tim Hortons close by, so expect to take a good 15 minute drive to a decent restaurant. Hotel itself is decent and clean despite the area.....don't let the look on the outside fool you. Can't really complain for $89/night. Appreciate the free parking in a covered parkade. We were attending an event at the Edmonton Expo Center and the hotel was so close you could walk (wouldn't recommend walking at night unless you're in a group as it's a very rough area of town). Looks like there’s some homeless in the premises of hotel. 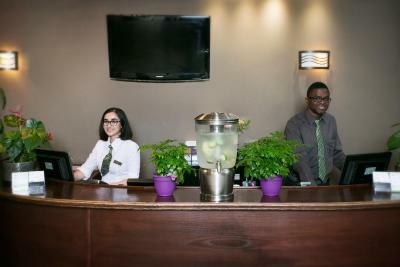 Friendly staff at front desk. Only one time I had flickering lights in my bathroom. 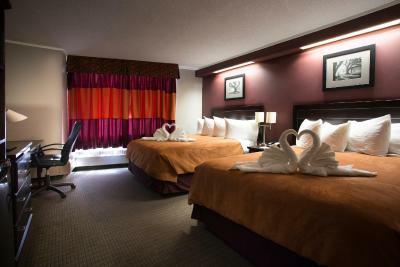 Beds are comphie, super clean rooms, bathrooms are huge tubs are always nice and clean!